Be the belle of the ball — but with a dramatic twist. 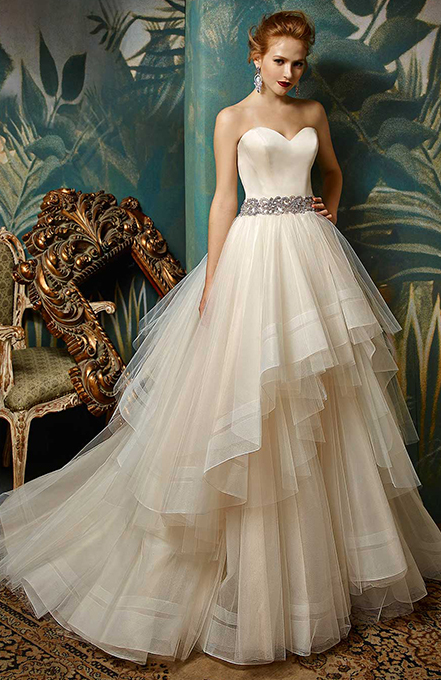 This full A-line ball gown features all the necessary elements to create the ultimate fairytale vision. 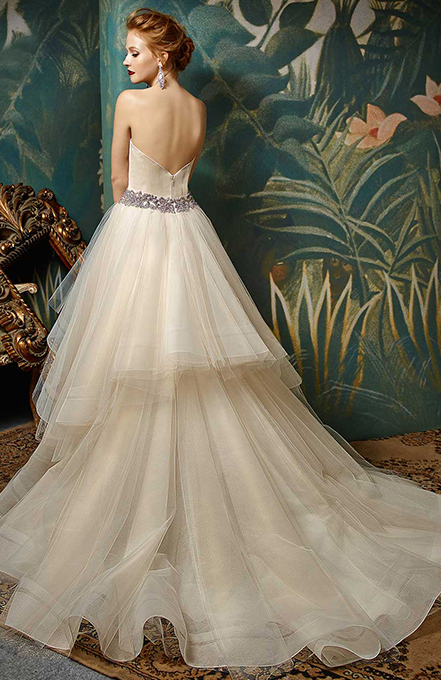 A soft satin bodice and incredible tiered tulle skirt are connected with a sparkling beaded belt at the waist for the most gorgeous princess look, complete with an invisible back zipper.